Get ready to experience a laughter riot like never before. 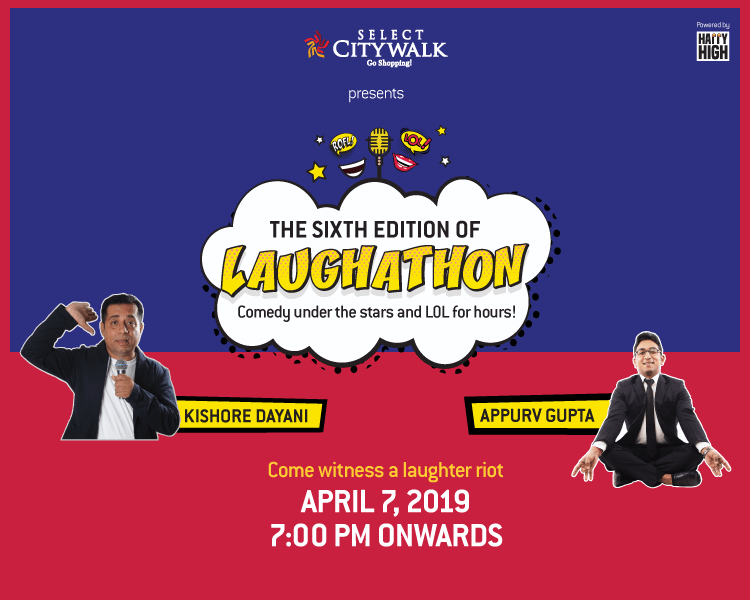 Select CITYWALK brings you the sixth edition of ‘Laughathon’ on 7th April 2019 from 7 pm onwards. Two of the prominent stand-up comics Kishore Dayani and Appurv Gupta will be there to make you roll in the aisles. So come with your friends and family and fill your weekend with lots of chortles.